The Door Surround with Tailgate Bar Kit from MasterTop fills the need for attaching a Bimini style top or Tonneau cover to the Wrangler JK Unlimited after the hardtop is removed for the season. 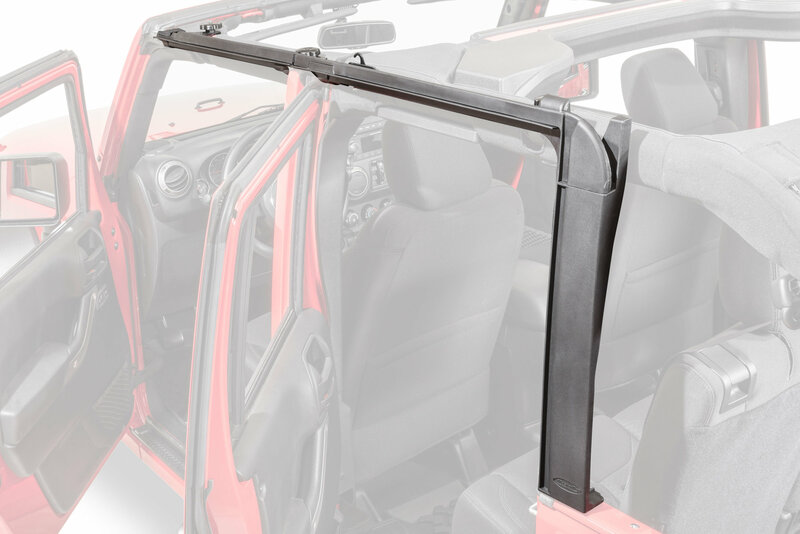 This complete kit included the driver and passenger side door surrounds for the front and rear of the vehicle, and easily installs with the included hardware to factory locations. 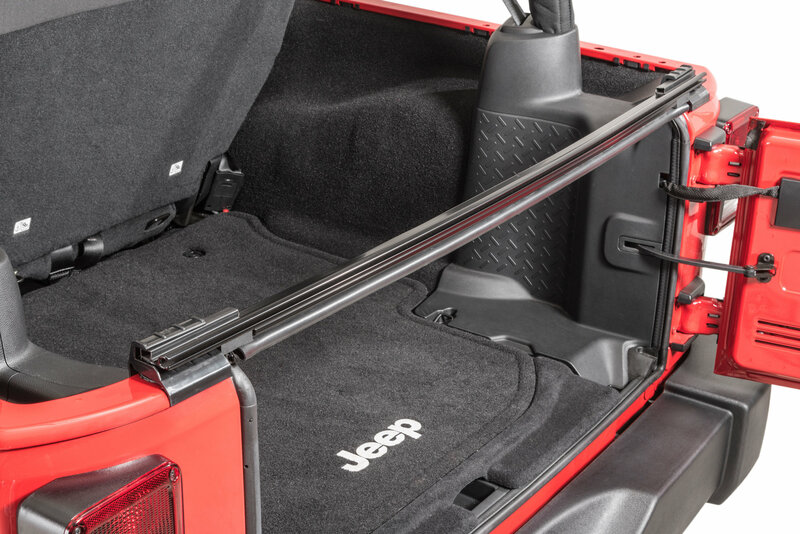 The tailgate bar also installs easily to the rear of the Jeep, and is required to hold the Tonneau cover in place while making a complete seal to the tailgate. This kit is required for the installation of the MasterTwill Wind Stopper Plus and Summer Combo kits for hard top equipped vehicles. This easily to assemble kit is a must for your summertime driving enjoyment! 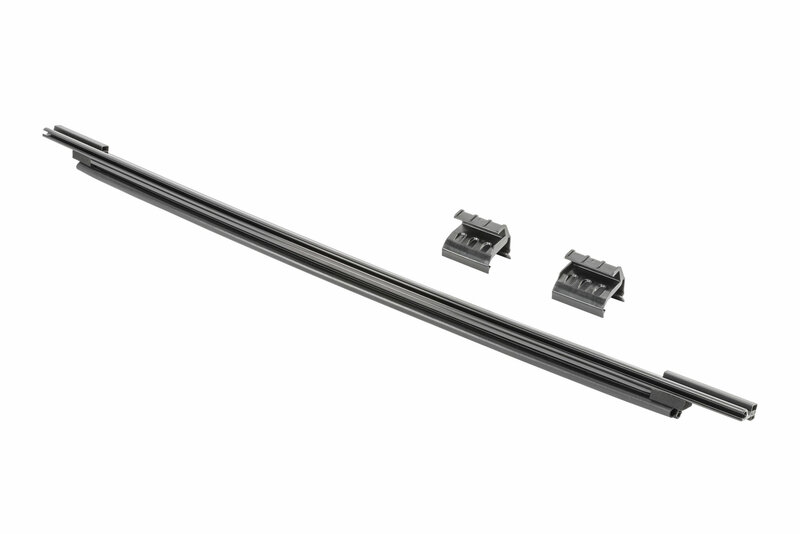 Door Surrounds: Passenger & Drive side door surrounds for the front and rear of the Wrangler JK Unlimited keep the original door surround design, which creates the perfect door closing surface that ensures the best seal for the front cab area. Tailgate Bar: The tailgate bar kit is required for hardtop equipped vehicles that wish to run a Tonneau cover over the rear cargo area. Included are the tailgate bar, and the required clips that install to factory locations with no drilling or modifications required.